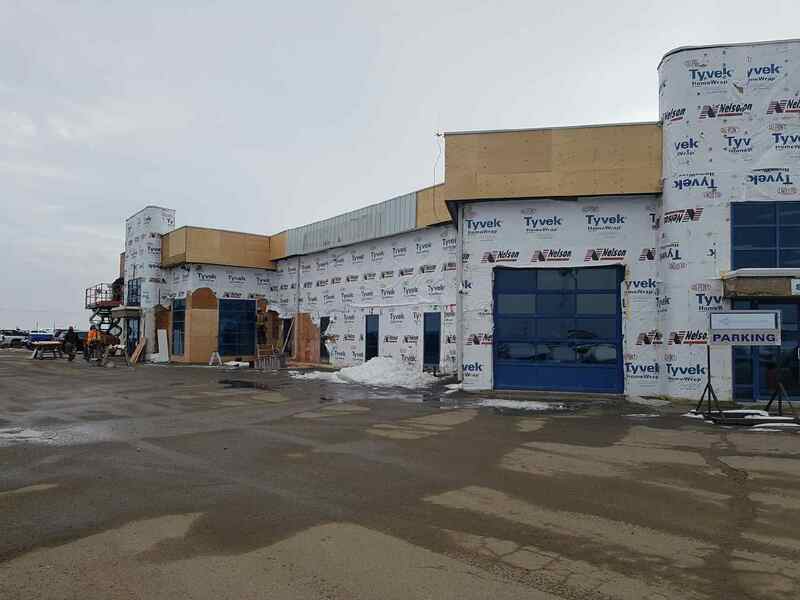 It seems like it was yesterday that the Novlan Bros team threw the big grand opening party celebrating the big move from Main Street East to 1st Ave and Highway 3. It's hard to believe that almost 20 years have gone by since then!! Even though our spacious new building was ahead of its time style wise in the mid 90’s, our time has now come to do some renovations to freshen it up and bring it into the 2016’s. 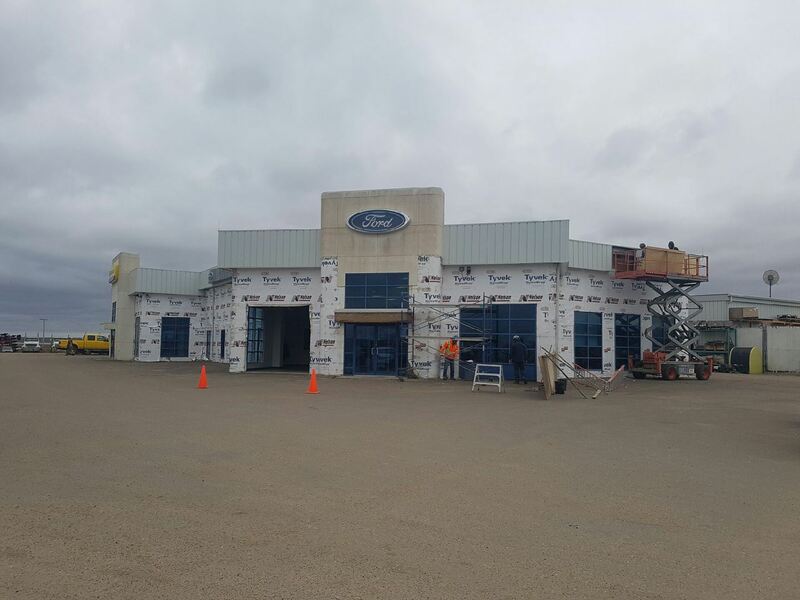 First order of business – changing out the siding on the exterior of the building. The guys at Miners Construction made quick work of removing the old (not so) white stucco siding and trim from the exterior fascia. Once the siding was removed, work began on the interior of the building. 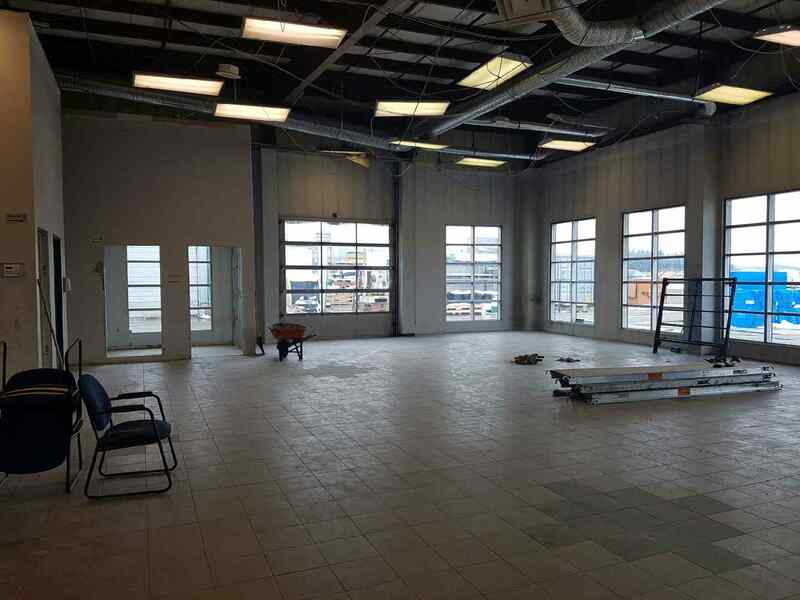 The entire automotive and agriculture sales staff had to move out of their offices to make way for the showroom renovation. In the picture below you can see that the cubicles have been removed and the ceiling torn down, and work will soon begin to remove the flooring tile. When completed, these offices will all be reconfigured. 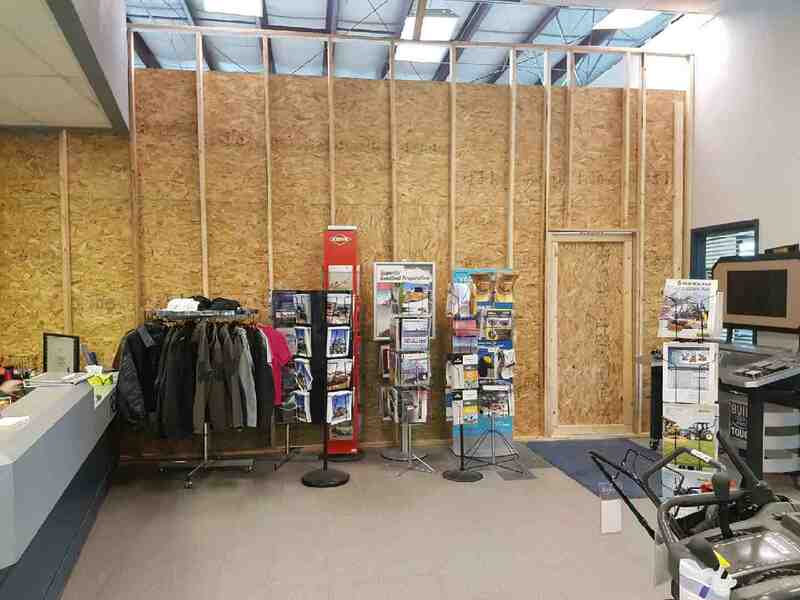 A temporary wall has been placed to separate the showroom renovations from the rest of the offices. Although we tried to time these renovations during the colder seasons when things are typically a bit slower, we still understand that things are a bit more cramped than usual, both inside and out. Thank you to our amazing staff and customers for being so patient during this time. We look forward to things being back to normal soon!